The brief demo I played through (a condensed version of what the devs said would be hours and hours of content in the final game) pitted us against William Stryker and the Purifiers: a group ripped straight from the pages of the comics on a holy crusade to destroy all mutants. After a brief warm-up at Xavier’s School for Gifted Youngsters, the Professor himself gave a brief monologue, which transitioned into a motion comic explaining the story. Gazillion says there will be a bevy of these throughout the game. The story (as you might recall, being written by Marvel all-star Brian Michael Bendis) seems interesting, the game plays very similar to Diablo and its ilk, with left click being bound to a basic weapon attack, and right click, along with the S, D, and F keys (by default) holding slottable skills. The most interesting thing about these powers is that, in addition to cosmetic costume pieces and “enhancements” that add stats to said pieces, you get them from loot drops. I started out with a mid-level Excellent Slash as my default attack, but it’s possible to loot different powers, and more powerful versions of existing ones like “Super Zo-my-god. Some of these, such as punches and grabs, will be equippable by almost anyone. Others will be restricted to a small number of heroes (such as a lightning bolt for Thor and Storm), and some will be specific to one particular hero (such as Hulk Smash!). Similarly to Diablo 3, different heroes use different resource systems. While not finalized, I got to play with three of them. Wolverine uses Rage, which starts low and builds up as you do damage with your basic attack. The Hulk and Iron Man use Endurance, which starts high and replenishes as you take damage. Scarlet Witch uses Focus, which behaves like standard mana–starting high and building back up over time. Especially in the case of Rage, resources felt more restrictive than in similar games, forcing you to think about what attacks you were going to use going into each fight. This may be tweaked before launch, but I liked the tactical element of having to plan and budget abilities. 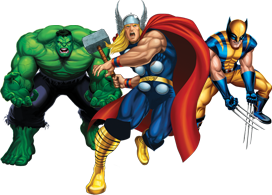 The four characters available to us were Wolverine, Hulk, Scarlet Witch, and Iron Man. Wolverine was a sort of glass cannon scrapper, with high melee DPS and prone to dying if you didn’t time your regeneration carefully. Iron Man was more of a ranged tank type, with missiles, lasers, and an AoE charge ability. Scarlet Witch had the most visually impressive power set, dishing out huge AoE damage and dazzling red sparklies. Unfortunately, it was confirmed that she can’t use her probability manipulation to get better loot. And Hulk was, well… he was the Hulk. A brick wall with a nifty enrage power that battered his way through enemies with abandon. We fought our way through Purifier-occupied Mutant Town, a dilapidated city street with presumably sub-par property values. The waves of thugs went down with little difficulty, but we did struggle when we came up against a 40-foot sentinel. These guys are sort of minibosses that can spawn in different places in the game’s randomly-generated levels. Luckily, we discovered that certain super strong characters (including Hulk and Iron Man) can pick up and throw cars off the street, causing a large, damaging explosion. For the most part, the normal enemies just felt like they were there to get blown away spectacularly by our awesome power, but we were told that the game does get progressively harder the further you are in the story, and enemies and bosses are balanced to your group size. Speaking of bosses, who did we run into at the end of the demo but our old friend Magneto? He’d captured Stryker and had his own nefarious plans which we didn’t think were going to be too helpful for mutant-human relations in the long run. The fight was about what you’d expect in this type of game. We beat up on Magneto until he started gathering metal shards to himself, at which point we would have to keep our distance or else be caught in a hazardous field of swirling debris. He would also occasionally trap one of us in a cage of bent girders and support beams which would have to be broken. Coordination came in handy, as the cage could be DPSed down much quicker if everyone attacked it at once. Your gear slots and your equipped costume are independent of each other, so you can look however you want without sacrificing stats. In the case of Wolverine, I found a sleek, black and grey X-Force costume. According to the devs, alternate costumes will have to be looted in pieces and assembled in the final game. You won’t be able to mix-and-match pieces from different costumes, unfortunately. My condolences to anyone who was looking forward to making Rainbow Brony Iron Man. Gazillion kept emphasizing that the game will be totally free. You won’t have to pay to start playing, there will be no subscription, and you’ll never have to pay to unlock the core content. The entire story can be completed, the level cap reached, and the most amazing gear set possible acquired without spending a dime. 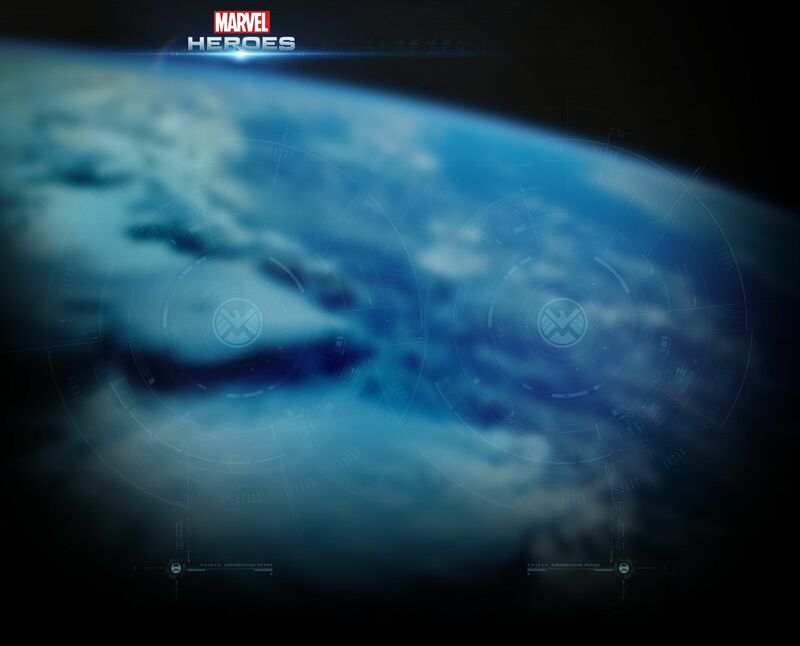 Efforts are being made to get a hold of as many Marvel veteran voice actors as possible. Specifically, it was confirmed that the actors portraying Wolverine and Spider-Man had “done the characters before,” but they weren’t able to give us specific names. Here’s hoping Steve Blum is one of them. A lot of the items that dropped were labeled as crafting materials. We’re not sure what will and won’t be craftable yet, or if there will be an auction house-like feature, but when asked, the devs said they “will have MMO-like features” in the game. Which seems to me to suggest that the answer is probably yes. We don’t have a release date for the free-to-play beat-em-up yet, but those who are lucky enough to be attending San Diego Comic-Con this week will have the chance to play the same demo we did. Don't be surprised if those 4 heroes are the ones that we all start off with; however, a negative to starting off with Hulk, Iron Man, and Wolverine is that they are too famous already and there will be x500 of each running around. It is best if we start off with B-listers, instead. After reading about how wolverine is a glass cannon I can see his popularity in this game amongst the more dedicated atleast not being all that popular to use if at all. But after the Demo no doubt will scarlett Witch/es be all over the place. I also don't see just these 4 being playable from the start..I can see them bumping the character choices up to at minnimum 6-8 characters atleast. Glass cannons are popular but they don't work in higher difficulties if you're a melee... I guess we'll have to compensate that with 1-2 skills (I know he has the super regen ability) and maybe a passive and those extra customization points they didn't talk about yet. Scarlet Witch has 1 ability that's useless if you go full dps, which is her aura-like aoe damage, unless you're against low level/lower difficult trash. Getting close to mobs with a squishy character in all diablo like games I've played is an invitation to death. I don't think they will talk about it, but I want to see how defensive stats work. Prof. X, if you're allowed to say it, can you tell us if there's anything like Armor, Resists (fire, ice or "magic") or other avoidance/mitigation stats in your character stats tab? I have to agree with Pocket, it would be a huge negative to be able to start off the game with A-list heroes such as Hulk. Iron Man and Wolverine. Not only will there be a Gazillion of each running around, if they happen to make heroes purchasable as it is in SHSO most people would be willing to pay money to get their hand on such iconic heroes...I'd pay $5 for each one. It would be best if the game started off with B-listers, instead.